Why choose Nuffield Health Newcastle Hospital for your liposuction treatment? 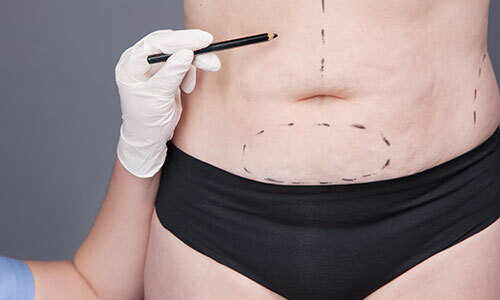 At Nuffield Health Newcastle upon Tyne Hospital our expert cosmetic and bariatric surgeons can provide you with the individual care and attention you need, delivering a personalised treatment plan for your liposuction procedure. All of our surgeons obtain a wealth of experience in liposuction and can administer treatment to areas of the body which are infamous for storing unwanted fat. Our hospital is conveniently located in Jesmond, a quiet suburb just 5 minutes away from Newcastle's vibrant city centre. Our spacious location enables us to provide plenty of free parking for patients and visitors alike, as well as offering easy access to local public transport links. Nuffield Health Newcastle Hospital has recently undergone a refurbishment totalling £7.5 million, this has included the unveiling of The Jesmond Centre - our state-of-the-art centre of excellence for cosmetic and weight loss surgery. If you are unsure whether you are a suitable candidate for liposuction and want to find out more information, you are welcome to book a mini 1-1 advice session or attend one of our free cosmetic open events held at the hospital. Here you well get the chance to meet one of our cosmetic surgeons, ask questions and express any concerns you may have with the procedure. If you are interested in liposuction and would like to discuss your treatment options with a professional, you will need to book an initial consultation at Nuffield Health Newcastle Hospital by calling our dedicated enquiry team on 0191 281 6131. Are there complications with liposuction?